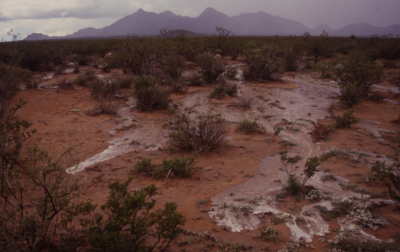 Processes of interest include water mediated plant-soil feedbacks; patch-scale contagion by wind, water, and animals; landscape context; and time lags that are manifested as nonlinear dynamics and threshold behavior. These cross-scale interactions (the interactions between patterns and processes across scales) often lead to emergent behavior of broader scales that are not predicted from fine-scale patterns. 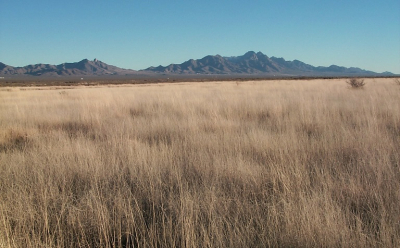 Our study site is located in the northern Chihuahuan Desert, approximately 25 km northeast of Las Cruces, New Mexico, USA (+32.6 N, -106.7 W, elevation 1315 m). Annual precipitation is 24 cm and maximum temperatures average 13 C in January and 36 C in June. 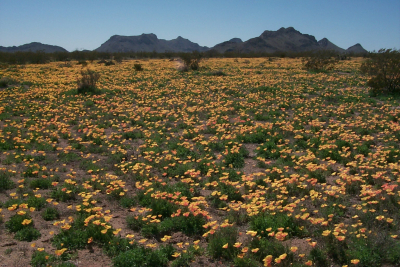 Our study site includes the 78,266 ha Jornada Experimental Range operated by the USDA Agricultural Research Service, and the 25,900 ha Chihuahuan Desert Rangeland Research Center (CDRRC) operated by New Mexico State University. 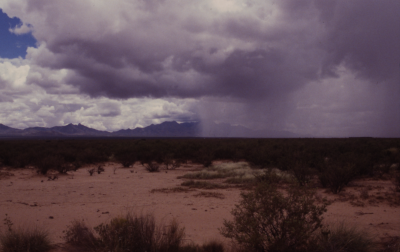 The Jornada Basin LTER project was established in 1982, and is administered by New Mexico State University. 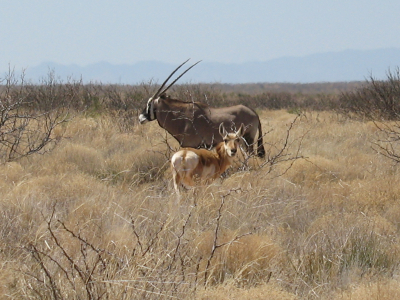 This site is a member of the LTER Network, one of 25 long term sites funded by the U.S. National Science Foundation.